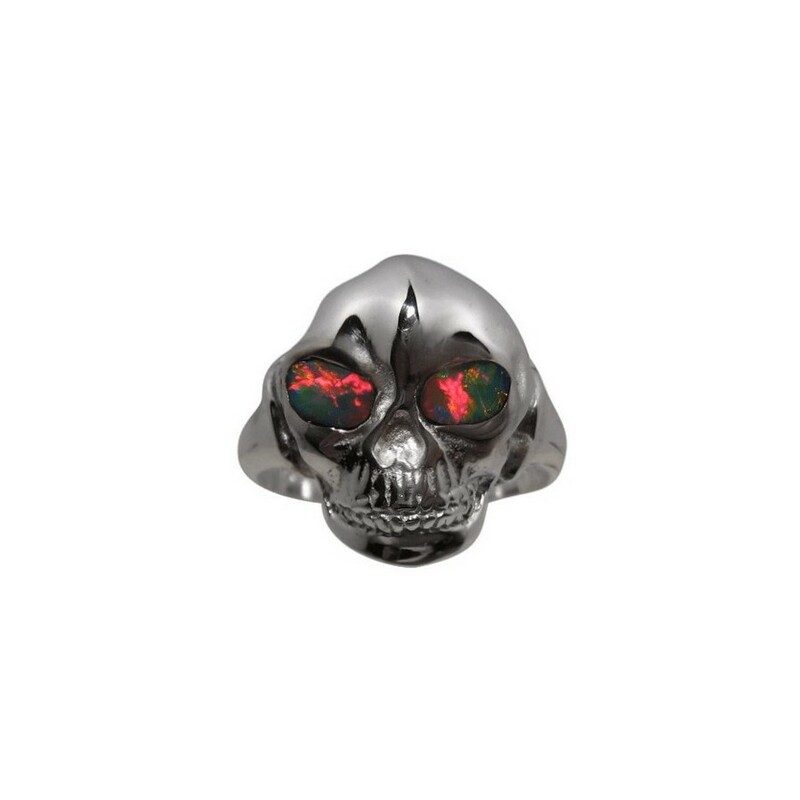 An impressive 925 Sterling Silver skull ring with eyes of Opal flashing Blood Red and Blue. This Opal ring is for men who like bold or unique rings. 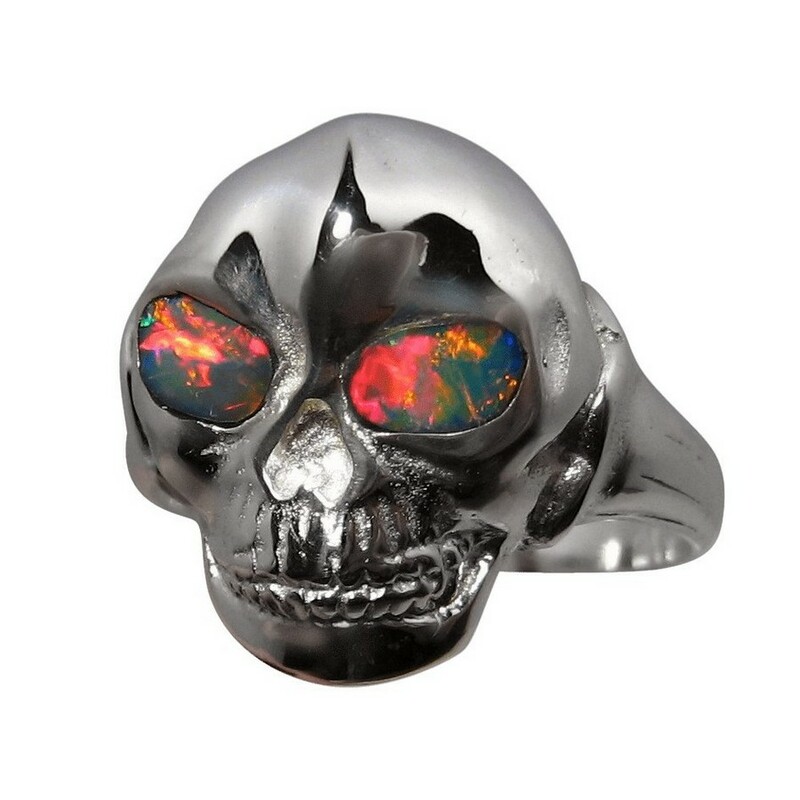 A skull ring made in 925 Silver and weighing about 8 grams, has eyes inlaid with amazing Black Opals from Lightning Ridge. 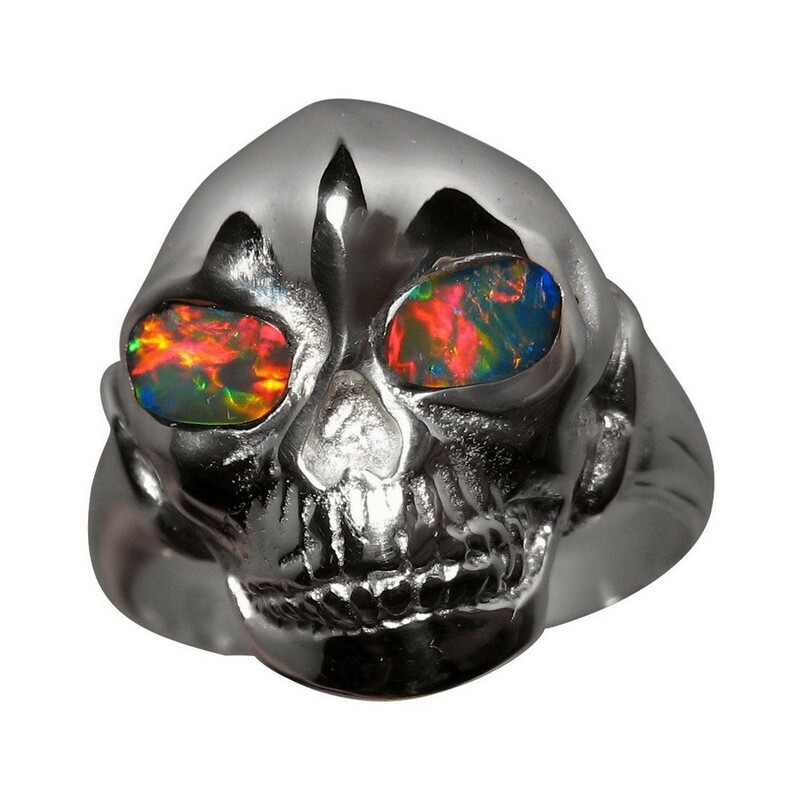 The Opals flash a mix of very bright Red and Blue in a lively play of color which is ideal for eyes in a skull. 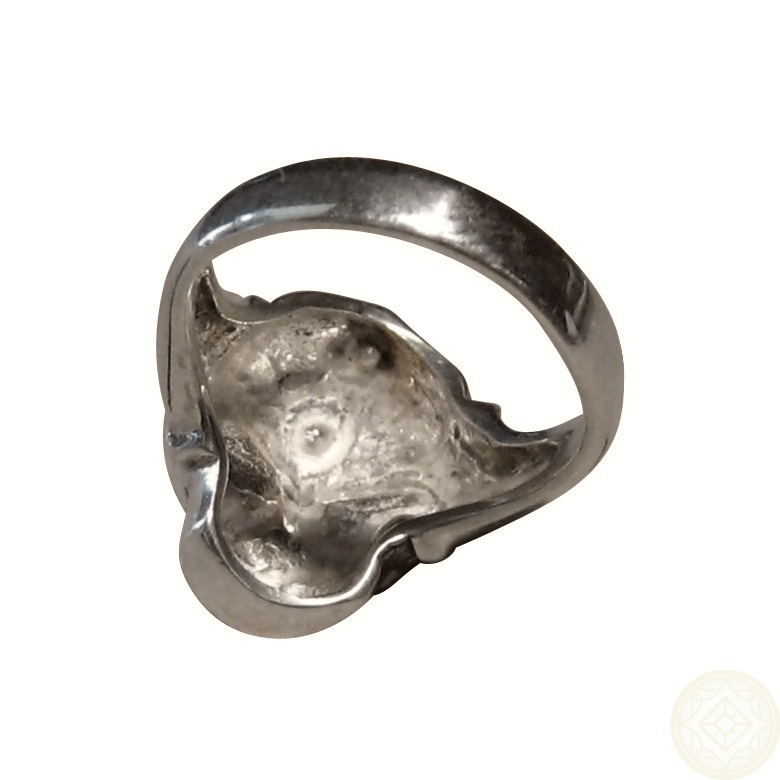 The ring measures over 3/4 inch north to south and sits just over 1/3 inch high, so a ring that will be felt when worn, but will also be noticed. The images do not capture the professional finish of the ring or the gleam of Silver and the article on Photographing Opal Jewelry may be helpful and assure you of a quality finish. This ring is not in stock but is Made to Order based on the ring in the images and as detailed below, and can be made in any ring size which will take about one week to make before images are provided for your approval to ship. This ring can also be made in 14k Gold and you can see one with Red eyes in related products at the bottom of this page. If you would prefer Blue/Green Opals or any aspect of the design changed, or even a totally different style of ring that is as bold, contact through the ask a question link above for assistance. My ring just arrived, the photos didn’t do it justice what phenomenal piece of jewellery. It fits perfectly and superlatives fail in the quality of the opals, stunning thank you it’s just what I wanted.